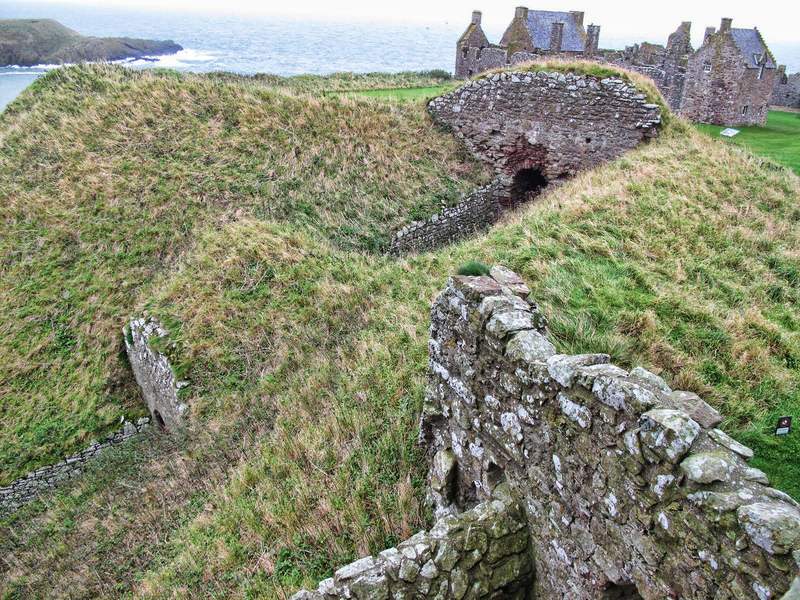 Cut through the rock, a stair entry was made to the castle, but it’s dangerous, high cliffs drop to the North Sea and so a fence was erected to keep people safe. But what do you see? Some have to see what’s hidden beyond, so they’ve bent the prongs down so they can climb over the top and walk the path that Highlanders walked a thousand years ago. I wanted to see what they saw. Though I’m certain it wouldn’t have been much more than what I viewed from the places I accessed freely. But still, there’s something about a secret passage, forbidden that begs the visitor to want to explore. What makes this so off-limits? That’s some of the draw. Keep out! Off-limits! No trespassing. But there’s something more to it than that here. A glimpse of something beyond that beckons the viewer to walk this path and learn where it leads to and why we can’t go there. And a question: Did the person or persons who bent the wires make it inside? Was vandalizing the fence worth it? 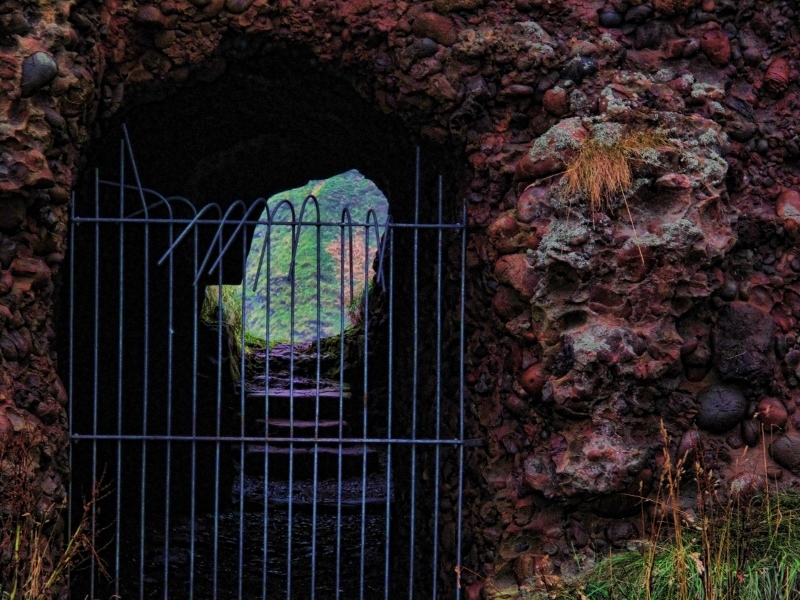 So I will continue to enjoy the secret just beyond, and be glad I was able to see the beauty of Dunnottar Castle on the North Sea through the entrances which were open to the public. I actually used this castle to describe one in A Highland Werewolf Wedding.